A) RETURN OF STOCK MERCHANDISE: We accept returns of stock merchandise within 30 days of the ship date listed on your invoice. 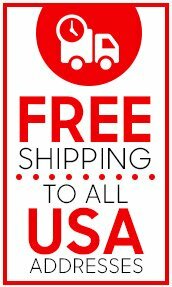 There is a US $10.00 restocking service fee for each item returned. 1. Email us at returns@licenseplates.tv for a Merchandise Return Form. 2. Place unused item in its original/new condition and use the original packaging and fillers to return ship this product with completed Merchandise Return Form. i) CHARGE OR CREDIT CARDS: If the returned merchandise is received by our warehouse in new or unused condition within 30 days of the purchase date listed on invoice, a credit will be applied to your charge or credit card. This credit is equal to the full purchase price minus a $10.00 restocking service fee for each item returned. Your account will be credited within 5 business days upon the receipt and verification of the returned merchandise. ii) MONEY ORDERS & CHECKS: If the returned merchandise is received by our warehouse in new or unused condition within 30 days of the purchase date listed on invoice, a check will be issued by Autogeardepot.com, Inc.. This amount of this check is equal to the full purchase price minus a $10.00 re-stocking fee for each item returned. This check will be issued and mailed within 5 business days upon receipt and verification of the returned merchandise. B) PERSONALIZED OR CUSTOMIZED MERCHANDISE is NOT RETURNABLE if item was supplied as ordered. 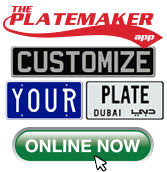 If the customized merchandise was incorrectly made, licenseplates.tv will re-make and ship at no extra charge. We will issue a call tag to retrieve the incorrectly made personalized/ customized merchandise or ask you to email a photograph of this product. Please note that we will not accept returns if the hue of the colors or type styles used varies from the digital images displayed online. Please note that all returned merchandise must be unused, new and sent back with any mounting accessories.